Attorney M. Jeanne Trott has represented injured individuals for over 25 years. She is committed to helping workers who are seeking benefits after many types of workplace accidents, including construction mishaps, injuries from defective machinery, patient care provider injuries, vehicle accidents on the job, and injuries caused by heavy lifting and falls. Her personalized representation has resulted in numerous six-figure lump sum settlements for her clients, among other successes. If you need a Manchester lawyer to help you pursue workers’ compensation or Social Security benefits, Ms. Trott can guide you through the process. If you have been hurt or fallen ill at work, you may need to file for workers’ compensation. This no-fault benefits system includes payment for medical care, rehabilitation, and some wage replacement if you have to miss work. New Hampshire law requires that every employer in the state obtain workers’ compensation insurance or be approved as a self-insurer. 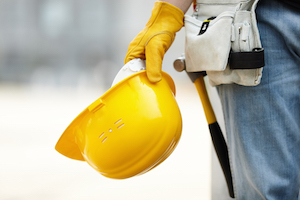 Under New Hampshire law, workers’ compensation covers all employees. It does not matter who may be at fault for an injury. Typically, most employees can receive workers’ compensation, including part-time, temporary, and immigrant workers. Undocumented workers are also eligible for the majority of workers’ compensation benefits, including medical bill payment. In addition to seeking medical care, most workers will need to inform their employer of an injury as soon as possible. Under New Hampshire law, an injured worker has two years from the date of an accident or illness to notify the employer in order to make a claim for benefits. If the injury is not immediately recognized, such as an occupational illness that gradually develops, they must provide notice when they know, or should have known, of the nature of the harm and its possible relationship to their employment. After visiting your doctor, it is important to have medical bills sent to your employer. Your doctor should provide you a form stating whether you can return to work, and whether there are limitations on your duties. Your employer is required to abide by the doctor’s instructions. After informing the employer a medical, disability, rehabilitation, or death claim must be filed within 3 years after the date of injury. This three-year period runs from the time that the employee knows or should know of the injury and its relationship to the job. If it is a fatal accident, the date runs from the time any relative knows or should know of the injury and its relationship to the employee’s work. The type of injury and the specific circumstances of each case determine the scope of the benefits received by workers. The types of benefits that may be available can include medical and disability benefits, including hospital treatment and remedial care related to the injury. Temporary partial disability benefits are paid to an employee who returns to work but, due to his or her disability, cannot earn the equivalent amount that he or she earned prior to the disability. Weekly indemnity benefits are determined by averaging the injured employee’s earnings during the 26 weeks before the accident or illness, and can be averaged up to 52 weeks before the accident or illness to obtain the most beneficial average weekly wage. For surviving dependents of a deceased worker, if the fatality occurred as a result of a work-related accident, surviving dependents may receive weekly compensation. Sometimes a workers’ compensation insurance carrier denies claims. There are a number of reasons for this, including not having adequate medical documentation of injuries. If your claim has been denied, the next step is to request a hearing at the Department of Labor to dispute the denial. These hearings are held before administrative officers at the Department of Labor. An injured worker has 18 months from the date of denial to request a hearing. Individuals who have been hurt on the job or are seeking redress for their loved ones can contact workers’ compensation benefits attorney M. Jeanne Trott for help in filing a claim in New Hampshire. Ms. Trott has years of experience representing injured employees before the Department of Labor. She understands the nuances of the harm that her clients have suffered, since she worked as a nurse prior to entering the legal profession. Ms. Trott has assisted injured individuals in communities throughout the state, such as Hooksett, Auburn, and Candia. Call us today at (603) 624-7500, or contact us online to set up a free consultation.